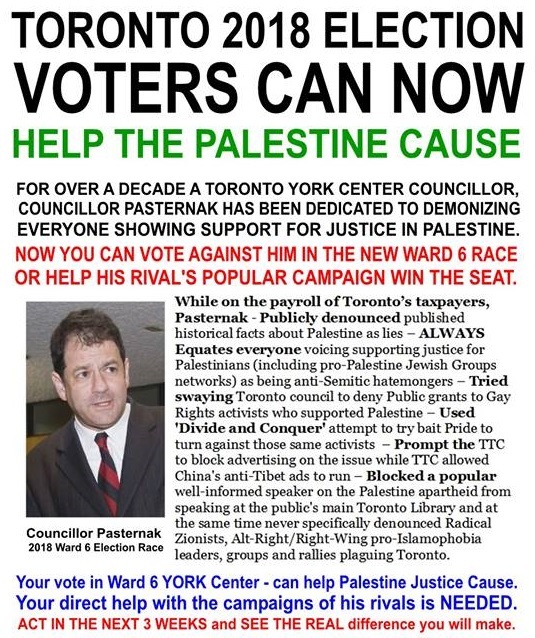 Toronto (October 10, 2018) - Friends of Simon Wiesenthal Center (FSWC) condemns the antisemitic campaign recently posted on an online anti-Israel group calling for the eviction of a Jewish councillor from office because of his beliefs. This incident comes one month after two Canadian Jewish MPs were attacked online for supporting Israel, an antisemitic act that was condemned by several political leaders. Earlier this week, Leo Baeck, a Jewish school in Toronto, was targeted with anti-Israel graffiti, while shoppers at a Metro grocery store in Toronto discovered stickers promoting BDS placed under Israeli products.